About a quarter of employees have ‘pulled a sickie’ in the past two years. 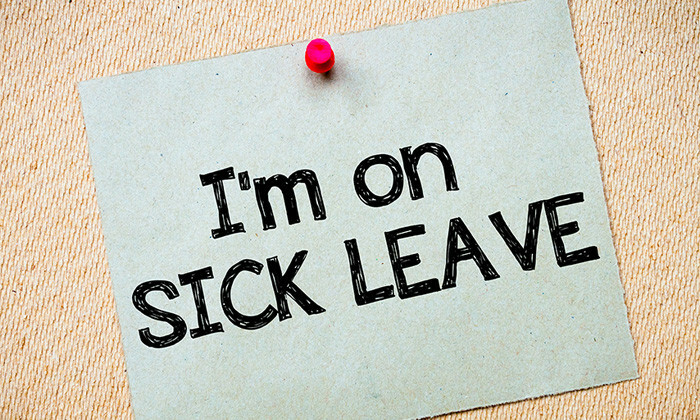 While some of the reasons are just ridiculous, one reason for taking sick leave bosses find acceptable is a staff member with family responsibilities. Per a survey by Cezanne HR, the top two reasons why bosses found pulling a sickie acceptable are related to family responsibilities. Coming in on top with 64%, is ‘sick children’, while in second place with 48% is ‘family reasons’. Seemingly, it is more acceptable for employees with family responsibilities to call in sick because managers and colleagues tend to sympathise with them more. Surprisingly, rounding up the top three is ‘to attend an interview’ with 16%. The study also found that of the 500 people polled, women were slightly more likely to use a illness as an excuse for not turning up at work (64% vs 62%). However, men confessed to doing it more often. It was also revealed that the younger generation is more likely to call in sick. While 46% of those aged between 18-24 said that they have pulled a sickie, only 19% of 45-54 year-old said the same.